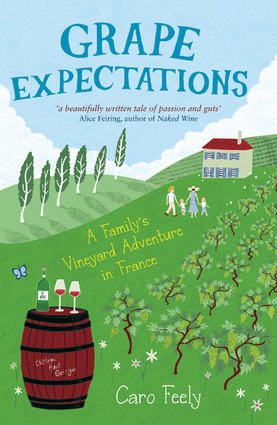 Filled with vivid descriptions of delicious wines, great food, and stunning views, this is a unique insight into the world of the winemaker, and a story of passion, dedication, and loveWhen Caro and Sean find the perfect 10-hectare vineyard in Saussignac, it seems like their dreams of becoming winemakers in the south of France are about to come true. But they arrive in France with their young family (a toddler and a newborn) to be faced with a dilapidated 18th-century farmhouse and an enterprise that may never, ever make them a living. Undeterred by mouse infestations, a leaking roof, treacherous hordes of insects, visits from the local farm "police," and a nasty accident with an agricultural trimmer, Caro and Sean set about transforming their "beyond eccentric" winery into a successful business as they embark on the biggest adventure of their lives—learning to make wine from the roots up. Caro Feely runs an organic wine estate with wine school and gîte rental business in the Dordogne Valley in France.